In this technology driven age, the conventional banking players are evolving to compete with more agile and smaller fintechs. The change is not easy but they are doing whatever it takes to be relevant in the future. MCB, one of the biggest banks in Pakistan, has not just a reliable and secure payment gateway (eGate – MCB Payment Gateway for Ecommerce Businesses) but also has a set of Mobile apps to give their customers the ease of managing finances, paying online, or just transferring money. MCB Lite Card is a Visa enabled card, which is linked to your MCB Lite Mobile Wallet. It provides you with the same flexibility of a Visa Debit Card. It can be used at ATMs or at any POS, locally and internationally. It can also be used for online shopping. You can use your MCB Lite Card at any ATM or POS machine around the world that is powered by VISA. 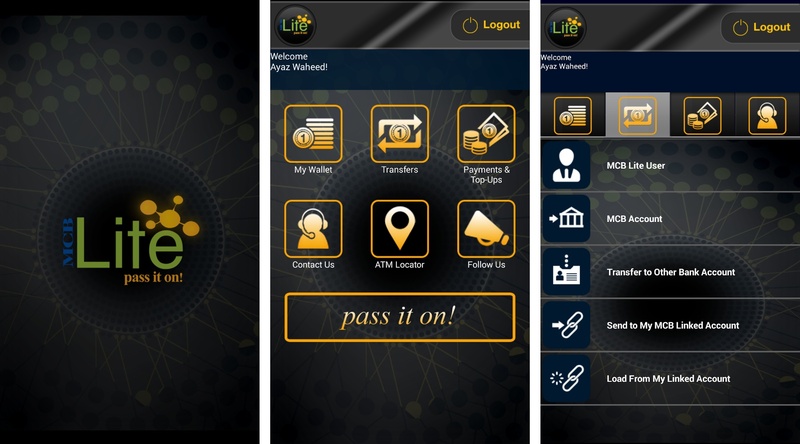 MCB Lite Mobile Wallet application is a mobile wallet application for the customers of MCB Lite, a socially connected payments solution. This application provides the customers the ease of accessing their MCB Lite Mobile Wallet to manage funds and make payments on the go through their android/ios powered smart phones. We have demonetized digital payments and made them absolutely free of bank charges so that you and your inner circle enjoy the benefits of being on the Mobile Payments Grid without the worry of paying a charge every time you make a payment or access your money. How MCB Lite Mobile Wallet Works? Starting from downloading the mobile app from Google Play or Apple App Store, you can immediately get all the features bundled in one place. Since the service is telecom agnostic which means that it will work with any prepaid or postpaid connection of any mobile network. You can use Mobile Wallet on any internet enabled device including a laptop, PC or a tablet. Funds: You can deposit funds in to your MCB Lite Mobile Wallet by visiting your nearest MCB Bank Branch. You will be required to fill out a Deposit Slip, a copy of which you will keep as proof of deposit. Additionally, MCB Bank Customers can request to link their MCB Bank Account to their MCB Lite Mobile Wallet in order to easily move funds between the two, absolutely free of cost. With MCB Lite Remit feature, you can receive money from your loved ones directly into your MCB Lite Mobile Wallet, from a global network of 70+ Remittance Partners. You can convienetly withdraw the cash with your MCB Lite Card through MCB branches, MCB ATM’s, 1Link ATMs, or use the funds through the Lite mobile App and POS terminals. Every existing or new MCB Lite Mobile Wallet holder having Level 1 &/or Level 2 is eligible for this feature. MCB Lite registered mobile number itself serves as lite account number. Home remittance facility is restricted to MCB Lite level 1 and level 2 only. MCB remittance agent/payment partner sends the payment instructions to MCB Bank Ltd.
How secure is MCB Mobile Wallet? According to MCB, “information is not stored on your mobile phone which means that your PIN is never exposed even if your mobile handset is lost or stolen”, which makes the Mobile Wallet a safe and secure way to make payments. In addition, all transactions are secured with Advanced Encryption Methodologies. Also, to conduct any transaction on your Mobile Wallet you need to first enter your Login PIN followed by your Transaction/ATM PIN. MCB has demonetized digital payments and made them absolutely free of bank charges so that users can enjoy the benefits of being on the Mobile Payments Grid without the worry of paying a charge every time they make a payment or access money. Thank you for getting #clarity on MCB Lite. Here is the Tweet and FB post for this post.